Whether you are a new grad or an experienced nurse looking for a new job, or even a savvy nursing student who wants to plan ahead for when you become a new nurse, here are a few tips just for you! Even before I became an RN, I was a nurse’s aide while attending school and some of these tips I acquired back then too. If you have other important things going on in your life, or it’s a hectic time of year for you, then it’s better to wait until the time is comfortable, relaxed and right for you to take the exam. Many of us, who have hurried into it and taken the exam under stress, did not pass the first time and then had to pay the exam fee to take it again. It is also never a good thing to have to tell friends and family that you didn’t pass. Think of it this way, if you can survive nursing school, especially a tough BSN program, then you can continue to survive awhile longer on your meager, nursing student income, or current circumstances. I can promise you this; if you take the time to be truly grateful that you have made it and enjoy and appreciate the fact that you can have your life back now that you are no longer in school, then your feelings of gratitude and self-appreciation will bring blessings of what you need, until you are ready to take the NCLEX. If you are a new or experienced nurse looking for a new job…. Don’t be too enticed by a sign-on bonus until you “do the math.” Be sure to consider your hourly pay first and then divide the bonus by the number of weeks it will take until you are awarded the bonus. Many times it amounts to an extra $1.50 per hour that they should be paying you anyway! Also, be sure you would really want the job, even without the bonus. During your interview, find out when the busiest days/times are for the shift(s) you will be working. You can ask something like, “What is the daily and weekly routine like on the unit?” It will provide for good questions to ask during the interview to show your interest and enthusiasm, but protect you from agreeing to a difficult schedule. For instance, in a rehab/LTC facility, the doctor comes in on certain days of the week and writes a ton of new orders, which all takes a lot of extra time to transcribe for the nurses. If the doctor comes in on Wednesdays and that is the day you really need to get out on time or get your child off the bus by 3:15pm, then don’t agree to work on Wednesdays. On the other hand, if you want to get a little extra time in and you are free, then knowing when the doctor comes in is a nice little strategy to add to your paycheck. Some places will insist that you clock out on time, even though there is no way to get the work done on the busy days. Try to find out how this works during the interview and look for another job if this is the case, because there will be little respect for you there. 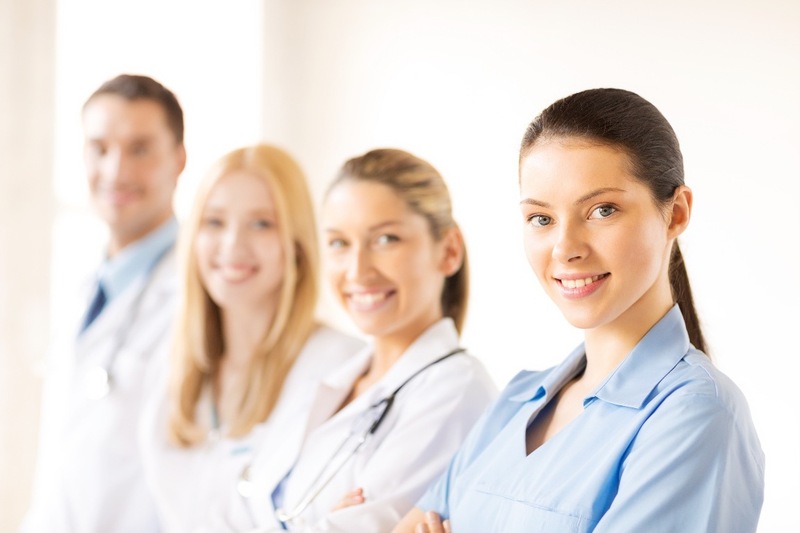 If you are a savvy nursing student who wants to plan ahead for when you become a new nurse….try to get a job as an aide in the place where you want to work once you get your license. Often your school instructors can serve as references to help you get hired. This will help you see what it is truly like to work there and it will be much easier to move around in different departments as an aide than it will be as a new grad. Once you decide, already working in the chosen department as an aide will be a big boost to getting hired as a nurse. Many times what we see on medical based TV shows is nothing like the real deal and working as an aide behind the scenes is a great way to figure it out. As for LPN students, be very careful with promises from the school that your credits will later transfer to an RN program. Be sure to check directly with the academic advisor from the RN school that you plan to attend to be sure this is true and if so, that your LPN credits will still be transferable at the time you plan to transfer them. As I write this, I realize I could write a series of books on this, rather than one article! In closing though, no matter where you are in the spectrum of nursing, always take care of your #1 patient; and that’s you! Having a system to save time, money and energy for you, will always make you a better nurse. I find the task that takes up a lot of my time, outside of school/work of course, is preparing healthy meals. So I consider the Crock Pot to be a nurse’s best friend. It saves so much time and the ingredients always seem to be far less expensive than pre-prepared meals. Finally, carving out even a minute or two when I wake up in the morning, to be grateful for what I have and to clarify my most important goals for the day ahead, somehow makes the day run much smoother. Good Luck!